Pakistan needs effective counterterrorism strategies to maintain strong bilateral ties with China. 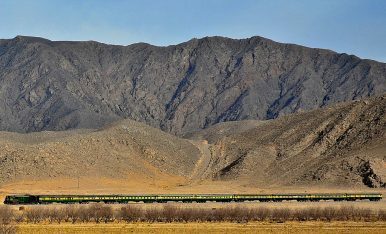 China has invested more than $62 billion in the China-Pakistan Economic Corridor (CPEC), developing a network of roads, pipelines, and railways to connect Balochistan province in Pakistan with Xinjiang in China. Currently, there are more than 20,000 Chinese nationals working across Pakistan, with more than 70,000 short-term visit visas being issued each year. In 2019, Chinese economic projects, nationals, and interests will be vulnerable to terrorist attacks in Pakistan due to close bilateral ties and the significant Chinese physical presence in the country. The perception of China as a “colonizing power” and its treatment of Uyghur Muslims in Xinjiang will aggravate China’s existing vulnerability. The terrorist threat will not emanate only from Baloch separatist groups, but also Islamist terrorist entities, such as the Tehrik-i-Taliban Pakistan (TTP) and Islamic State’s (ISIS) local affiliates in the country. Baloch insurgent groups have displayed hostility toward the Chinese presence in Pakistan, with the province already rife with anti-Pakistan and separatist sentiments for decades. These ethno-nationalist groups perceive the Chinese presence as exploitation of local resources, referring to China as a “colonizing power” next to Pakistan. They have frequently stated that China-Pakistan bilateral ties symbolize efforts to outnumber the Baloch people under the facade of economic development. Overall, six Baloch separatist groups have announced displeasure toward the Chinese presence, which is exacerbated by the government’s inability to address Baloch grievances. In August 2018, Allah Nazar Baloch, commander of the Baloch Liberation Front (BLF) addressed a letter to the Chinese ambassador to Pakistan, stating that Chinese nationals, including fishermen, laborers, and tourists, are legitimate targets for attacks. In addition to the BLF’s declarations, the Baloch Liberation Army (BLA) remains one of the strongest threats to China, due its prominent physical strength (2,000 to 3,000 militants), and favorable geographic location (operating out of Afghanistan and situated along the mountainous areas of Iran). In August 2018, the BLA targeted a bus transporting Chinese engineers in the Dalbandin district in a suicide bombing; those in the bus suffered minor injuries. More recently, in November 2018, three BLA gunmen killed at least four people in an attack targeting the Chinese consulate in Karachi. While no Chinese diplomats or staffers were killed in the attack, it marks the second time BLA used suicide bombing as a tactic against Chinese targets. The gunmen who attempted to enter the consulate were wearing suicide vests, but were unable to detonate them. This shift in tactics by a group that previously relied on mortar attacks and ambushes signifies a willingness and ability to learn from other terrorist groups and evolve. In September 2018, the Tehrik-i-Taliban Pakistan (TTP) released its code of conduct in Urdu, which stated that all “non-Islamic countries allied with Pakistan are viable targets.” While the code of conduct does not name China specifically, the country is vulnerable to attacks by the TTP due to two key reasons. First, in the past the TTP has labelled the United States as an enemy because of the alliance with Pakistan during the Global War on Terror and drone strikes that have targeted its fighters in the tribal areas since the group’s formation in 2007. Ideologically, the TTP has believed that the United States represents Western values, underscored by secularism, leading to the label of kuffar (disbelievers). Yet since 2017, Pakistan’s relations with the United States have been increasingly strained due to a perceived lack of action in the counterterrorism realm with regard to Afghanistan, leading to a $300 million cut in military aid. In place of the United States, China has become a key ally and stakeholder with a strong physical presence in Pakistan, making it a more prominent target. Second, the TTP has opposed China’s treatment of the minority ethnic Uyghur population in Xinjiang province. In 2012, the TTP claimed responsibility for killing a Chinese tourist, labeling the attack as “revenge” for the Chinese government “killing our Muslim brothers in the Xinjiang province.” With recent narratives and details of China’s suppression tactics in Xinjiang’s re-education camps surfacing, it is possible that the TTP will conduct further attacks aimed to defend Uyghur Muslims. The Islamic State’s local branch for the Afghanistan-Pakistan region, Islamic State Khorasan Province (ISKP), has also targeted Chinese presence in Pakistan. The Islamic State has termed China an “oppressor of Muslims similar to Israel, India, and the U.S.” in the past. In June 2017, Amaq media agency claimed that the group had executed two Chinese nationals who were kidnapped in Balochistan province in May that year. ISKP has relied on its local affiliates Jamaat-ul-Ahrar and Lashkar-e-Jhangvi al-Alami to conduct terrorist attacks in Pakistan. The increasing Chinese presence in Balochistan province and elsewhere provides these networks an opportunity to gain visibility and media coverage by targeting foreign nationals and business professionals. In addition, the Islamic State has used its branches to tap into local conflicts around the world, with ISKP focusing on violence against Muslims in Jammu and Kashmir. As such, rhetoric and recruitment campaigns by ISKP focused on Uyghur persecution of Muslims could possibly emerge in 2019. This remains particularly important for the Islamic State due to its territorial defeat in Iraq and Syria, possible shift toward Afghanistan as a safe-haven for operations, and portrayal of itself as a group that is as strong now as it was back in 2014. China has key geostrategic interests in Pakistan and will be determined to prevent CPEC from failing or its interests being targeted by terrorist and separatist groups. China has strengthened its counterterrorism cooperation with Pakistan since 2015, with the most recent joint training exercise conducted in Punjab province in December 2018. The last phase of this training, involving special operations forces from both armies, started shortly after the Chinese consulate attack in November 2018. In the past, China has branded the TTP as a key threat to peace and stability within Pakistan, after the group threatened to cut off access to the Karakoram Highway, the land connection between Pakistan and China. Militancy in Balochistan province has been closely linked to India and Pakistan’s proxy war. Pakistan has claimed that Indian intelligence is involved in Balochistan and has been funding militancy in the province. These assertions were furthered in March 2016, when an Indian national, Kulbhushan Jadhav, was arrested — accused by Pakistan of being a spy. While India has rejected these claims, any surge in violence in Balochistan province is also likely to affect bilateral ties between India and Pakistan. Overall, the threat to China puts increasing pressure on Pakistan to implement effective counterterrorism strategies to maintain strong bilateral ties with China. In 2019, this will remain key to safeguard the economic interests of both countries that are couched within the massive $62 billion investment. Sara Mahmood is a senior analyst with the International Centre for Political Violence and Terrorism Research at the S. Rajaratnam School of International Studies, Singapore.